Website Terms and Conditions of Use relating www.allthingsbaking.co.za; All Things Baking. These Terms and Conditions (“the Terms and Conditions”) govern your (“the User”) use of the All Things Baking(“Provider”) website located at the domain name www.allthingsbaking.co.za (“the Website”). By accessing and using the Website, the User agrees to be bound by the Terms and Conditions set out in this legal notice. The User may not access, display, use, download, and/or otherwise copy or distribute content obtained on the website for marketing and other purposes without the consent of the Provider. 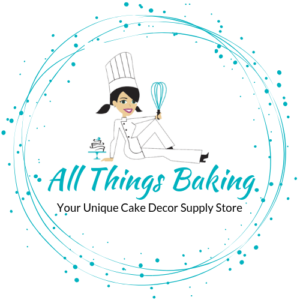 The Website www.allthingsbaking.co.za sells baking goods online. The use of any product bought from this Website is at the purchaser’s risk. The purchaser/ user indemnifies and holds the Provider harmless against any loss, injury or damages which may be sustained as a result of using the products sold on the Website. A cookie is a small file of information that a website creates when you visit it. These cookies can track how and when the website is visited , and they store that information. All Things Baking only use session cookies and will not persist data. This means that once you leave our website, all the cookie information is terminated after 24hours. Subject to stock availability with suppliers and receipt of payment, requests will be processed within 7 working days and handed over to a courier company for delivery.. If on receiving your order you are not delighted with your purchase, you are welcome to return it to us for a refund or voucher, provided the item is in its original condition (hasn’t been used) and original packaging. If you have used a product and found it to be damaged or faulty we will collect the product at our expense and either replace, refund or repair the item, depending on the circumstance and date of purchase. Returns/Refunds are only done on non-edible goods. This is due to public and food safety regulations. This does not include products that have arrived damaged or expired. We will most certainly replace and refund when we or the supplier are at fault. Payment may be made via Electronic bank transfer into the Provider’s bank account, the details of which will be provided after checkout. We reserve the right to verify that your payment has fully cleared into our account before releasing/dispatching goods. The User may visit the Website without providing any personal information. The Website servers will in such instances collect the IP address of the User computer, but not the email address or any other distinguishing information. This information is aggregated to measure the number of visits, average time spent at the Website, pages viewed, etc. The Provider uses this information to determine use of the Website, and to improve content thereon. Provider assumes no obligation to protect this information, and may copy, distribute or otherwise use such information without limitation. For the purpose of this clause, “personal information” shall be defined as detailed in the Promotion of Access to Information Act 2 of 2000 (PAIA). Delivery usually takes place within 1 week following dispatch, however, seasonal peaks and other factors outside of our control may on occasion cause delivery to take up to 3 weeks.